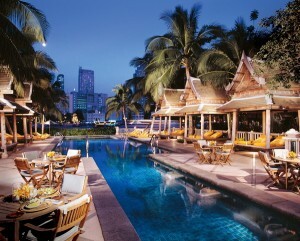 A quick look at the Peninsula Bangkok’s impressive city and river views, intricate wave-shaped architecture and luxurious traditional Asian-inspired accommodations and it’s no wonder this Thai hotel took top honors in the 2011 Readers’ Choice Awards for Best in Asia and Best in Thailand. Located just off the west bank of the Chao Phraya River, the 370-room hotel plays home to the famed 19,070-square-foot, three-story Peninsula Spa by ESPA which features an exquisite selection of Thai, European and Ayurvedic therapies. The spa culture of Southeast Asia’s Thailand is legendary. With origins of Thai massage said to go back to the second century and methods believed to be passed down from Buddha’s own doctor, it’s no surprise Thailand is a spa-goer’s playground. 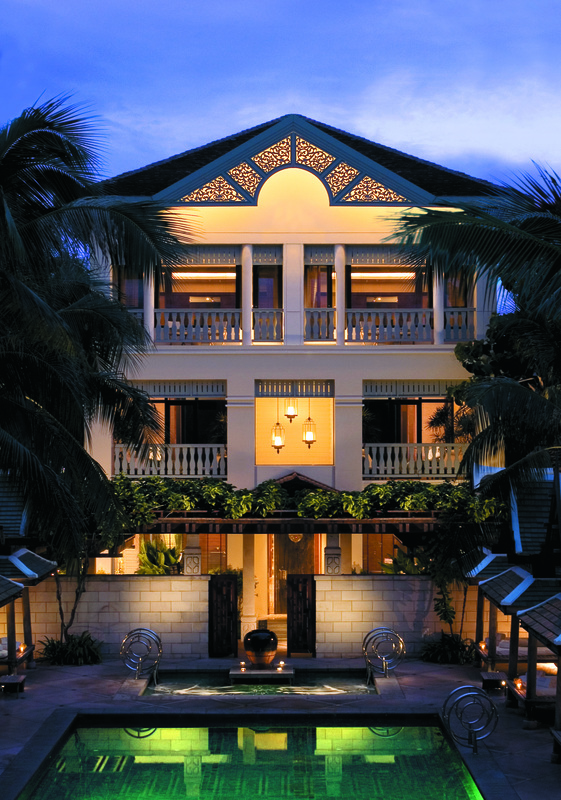 The Peninsula Spa, housed in a Thai-colonial building overlooking the Chao Phraya River, offers respite to business and pleasure-seeking travelers alike. Throughout its 19,070-square-feet, it features 18 treatment rooms including two private suites and two river suites with dual hydrotherapy baths, steam areas and rain showers. Thai silk fabric, wooden accents and red brick decor give a sense of old world sophistication while individual iPod stations in the relaxation lounges bring a contemporary feel into the space. Guests can relax in gender-specific saunas and steam rooms, an Asian tea lounge and a whirlpool or take quick dip in the cold plunge pool to cool off. The treatment menu, created by ESPA, showcases the very best of Thai, European and Ayurvedic philosophies which can all be individually customized to meet the needs of each guest. Travelers will revel in signature experiences such as the Time Treatment, which begins with a traditional tea ceremony followed by a consultation and foot ritual and accompanied by their choice of an individualized treatment ranging from hot volcanic stone massage to Shirodhara to a rejuvenating facial. In addition to spa services, guests of the hotel can partake in a wide range of wellness facilities, portion-controlled healthful cuisines, a three-tiered swimming pool, fine dining at one of four restaurants and a short trip to the city’s business and shopping districts. The 5,000-square-foot fitness center offers a full range of exercise equipment as well as personal training, Pilates, Muy Thai boxing and private yoga classes. From fine cuisine, wellness and spa – there is something for every traveler at the Peninsula Bangkok.